It's right there in the heart of my hometown, if you can call the clumsy mess of stripmalls and tarmac that comprises Annandale a "hometown." It's a modestly-sized Baptist church, one that is both gracious and clearly working just a tiny bit to maintain its facility. Things are neatly kept, but as with all buildings that date from fifty or sixty years ago, it feels a little worn around the edges here and there. As I wandered in through the side door to pick up the meals I deliver on Thursdays for Meals on Wheels, I was struck by one of the good-spirited signs that someone at the church puts up everywhere. "Welcome to a Facility," it began, and that wording stuck with me. Not "a church." Not "a community." Not "a congregation." 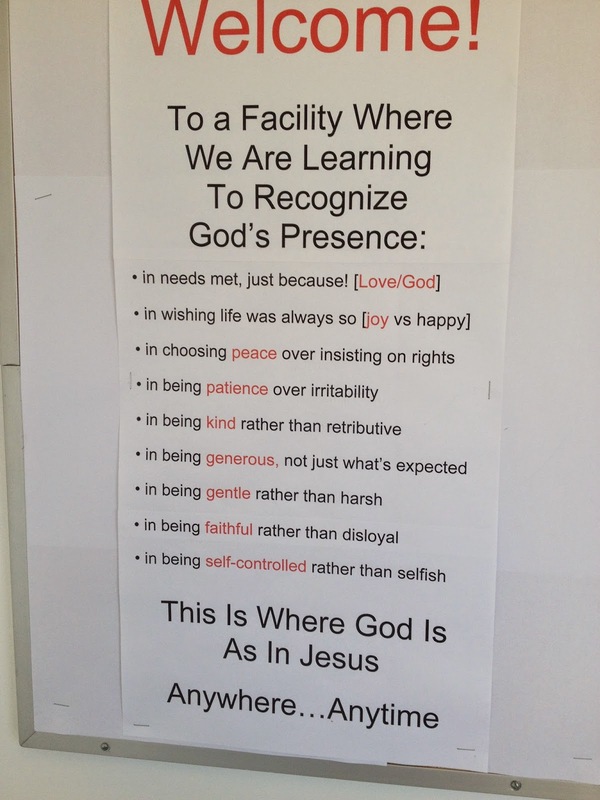 Because generally speaking, when the churchy people I know think of the word facility, we associate that word with bad things. Yet the root of the word has to do with abilities and gifts. It "facilitates." It makes things possible, in the way that a servant makes things possible. As the dictionary puts it, it "affords a convenience or service." Or it "permits the easier performance of an action." Better yet, it describes competence, in that it is "readiness or ease due to skill, aptitude, or practice." Our facility should contribute to our facility, which enables us to do and to be. It is what allows to you to have a space that is welcoming, or to engage in acts of hospitality. It is not something we cling to, or that drains us, or that stands as a fortress in which we hide away from the Other. Seems simple enough. Those Baptists in Annandale certainly seem to have it down.